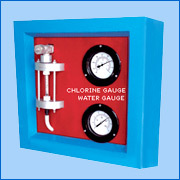 Gas Chlorinators are devices for providing constant supply of metered chlorine in as per safest operation standards. Chlorine is recognized for combating and killing bio-organisms as well as in controlling of fly control, sludge bulking, H2S and Odor, BOD reduction, disinfection, foaming control, ammonia oxidation, bleaching and other applications. 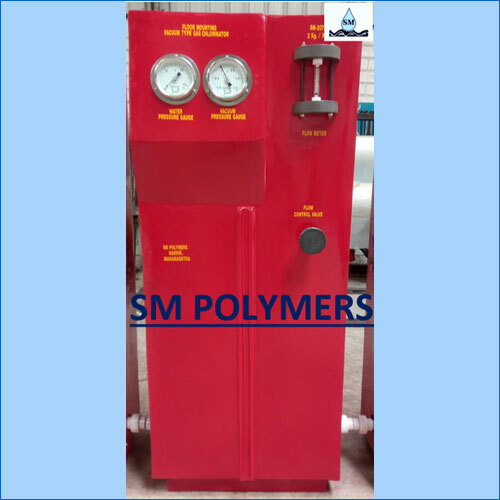 The gas passes to the injector where it is mixed with water in the mixing chamber and the solutions is discharged to the point of applications. 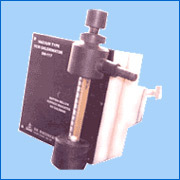 If the water supply to the injector fails or any block in vacuum the inlet valve inside vacuum regulator assembly immediately isolates the gas under pressure and stops the flow of gas even though the cylinder valve is open and the gas inside the system is exhausted through the vent via relief valve. Providing support of safety equipment including Chlorine Leak Arresting Kits, Gas Masks, FRP Scrubbers.